BW Offshore announced earlier today that the first cargo of oil was successfully offloaded from the BW Adolo FPSO on 2 December. A total of 550,000 bbls of oil were transferred from the FPSO to a tanker which will transport the crude oil to a refinery. 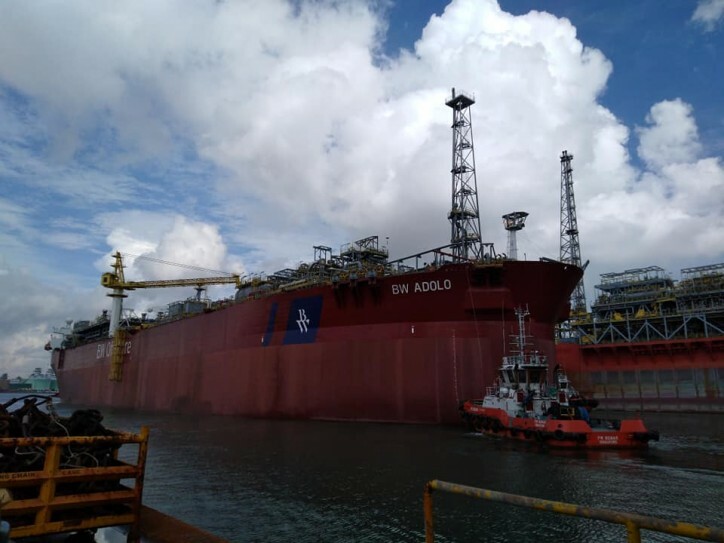 The BW Adolo achieved first oil from the Tortue field offshore Gabon on 16 September after completing hook up of mooring systems and installation of risers and umbilicals. The field development and start of production on the Dussafu license has progressed within budget and on schedule without any harm to people or the environment. The BW Adolo FPSO is installed on the Tortue field, one of five proven discoveries in the Dussafu license. The BW Adolo is a converted VLCC with an oil storage capacity of up to 1,350,000 barrels and a production capacity of up to 40,000 barrels oil per day. The vessel has undergone an increased life extension scope enabling an extended production profile on the back of positive reserve developments.